All 27 ” Cool Classic Rides” stitched heavily with Valdani threads. 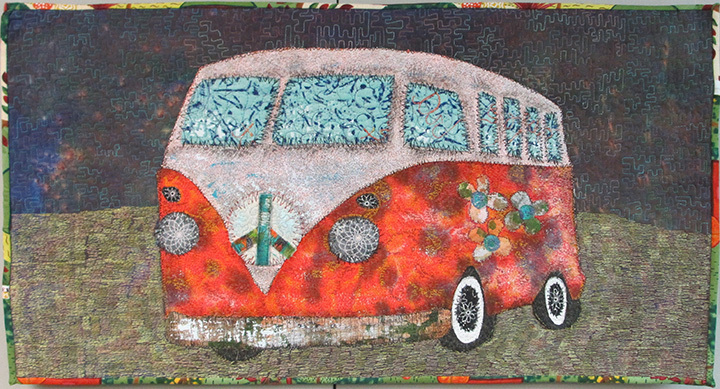 First Mancuso show kicks off Mid-Atlantic Quilt Festival, February 27th-March 2, 2014 in Hampton, Virginia. Send me a couple of photos if you plan to be there! Check out Mancuso dates/venues here, (special exhibits) Much thanks to Valdani Threads, Mancuso Inc. and Deborah Stanley. Stay tuned! This entry was posted in Happening Now 2014. Bookmark the permalink. Ahhh, one of the cars of my dreams. Your Cool Classic Rides” are going to be the highlight of every show.